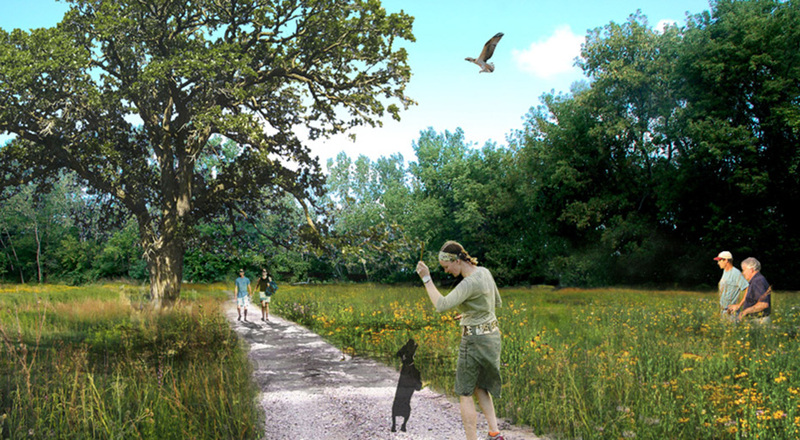 TGDA led the design of a masterplan for a new Fontana Duck Pond Recreation Area for the Village of Fontana. 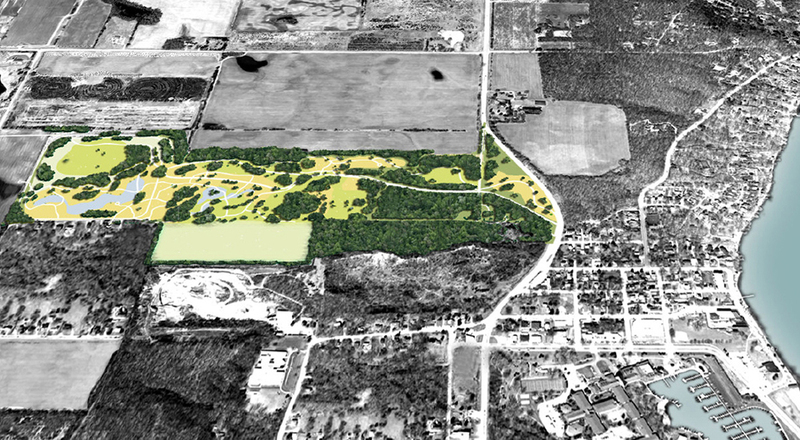 Situated two miles from Geneva Lake, this municipal property included a former landfill and DPW facilities and once served as a wastewater treatment plant and a dump location. TGDA assisted the Village of Fontana with transforming this underused site into a new ecological and recreational center for the community. 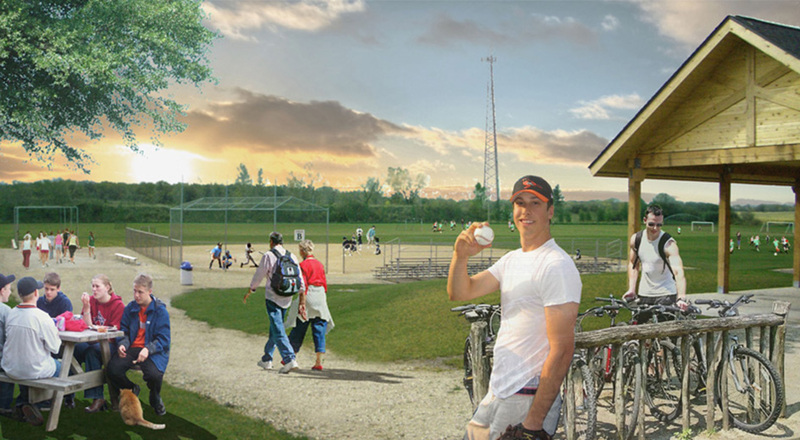 The Village of Fontana and TGDA embarked on a comprehensive planning and design process that prioritized robust community engagement. 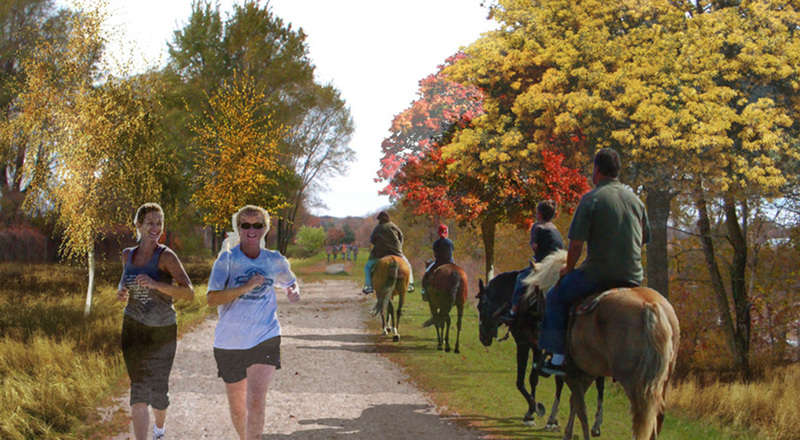 Resident input helped TGDA develop a masterplan that included hiking and recreational trails, which connect to existing, surrounding trail systems. 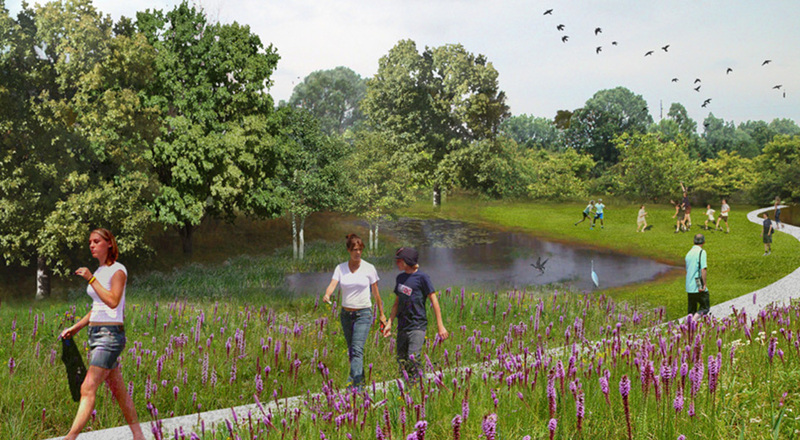 The design also features several native landscape types, innovative stormwater management systems, such as bioswales and rainwater recirculation opportunities. Entry gateway landscapes and interpretive signage were also part of the design program. Recreational opportunities include dog training facilities, playing fields, multi-purpose courts, and interpretive demonstration areas. 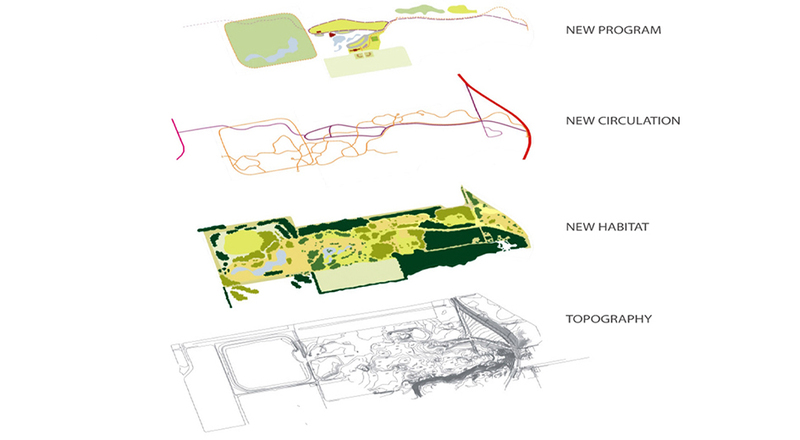 The first phase of land planning and natural areas upland prairie restoration was completed in 2009.